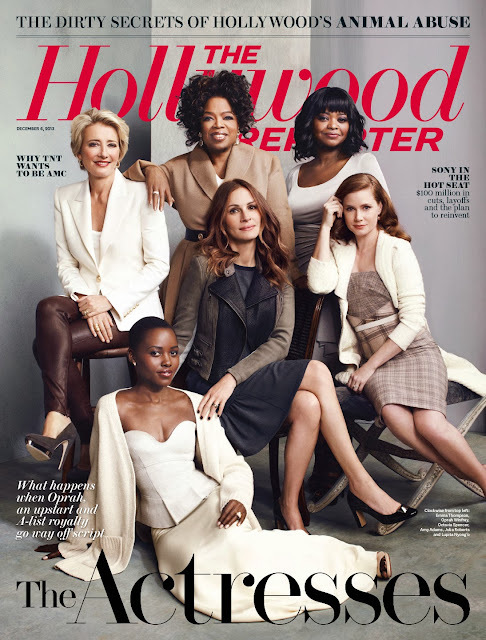 Julia Roberts, Amy Adams, Octavia Spencer, Emma Thompson and "12 Years a Slave's" Lupita Nyong'o appear on the cover of The Hollywood Reporter's new issue, focused on the awards season. 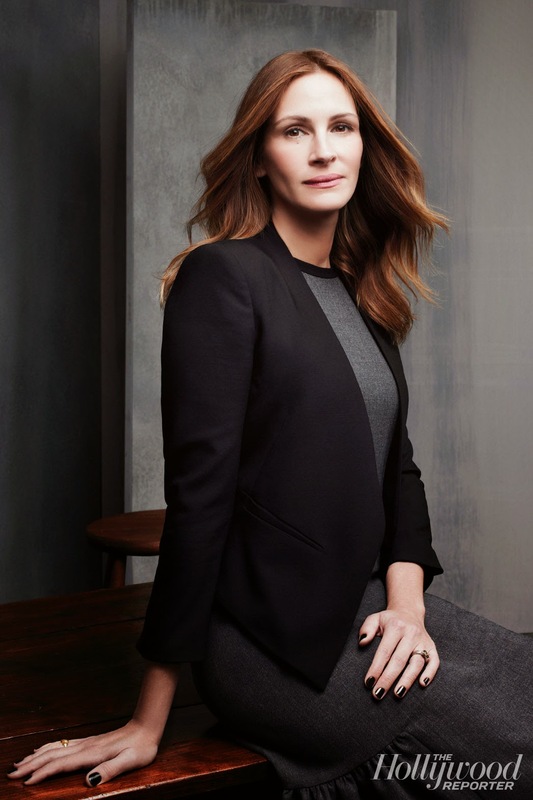 Julia Roberts on how her career changed after she had children: "Well, it certainly decreased a great deal, but I had been working for 18 years when I had Hazel and Finn almost nine years ago. So I felt like I earned that time in my house and in my kitchen and in bed all day with these two little people. I felt that was my present to myself. I was fortunate to work a lot, and I worked hard, and I was very devoted to that, and then I earned this jewel box of a life that I felt completely entitled to. It still is really important, but it has made me take more things into consideration." On dangerous shoots: "[Amy Adams and I] were filming in Morocco, and they had built this refugee camp at the top of the Atlas Mountains, and this storm came and blew the camp away and destroyed the roads, and I had two very small children to get back to in Marrakech. It was bananas." Amy Adams on auditioning: "I've been on so many auditions, I started treating it as my acting class. I would just pretend I was shooting the scene because I figured I had to learn from it. But the problem was, then I thought I could experiment, and so I just did some really dumb things. I would go in and wear costumes, take props. I think sometimes they just thought I was mad." On what role she would love to play: "I'm such a nerd. I just love musicals; I would love to go and do a musical on Broadway." 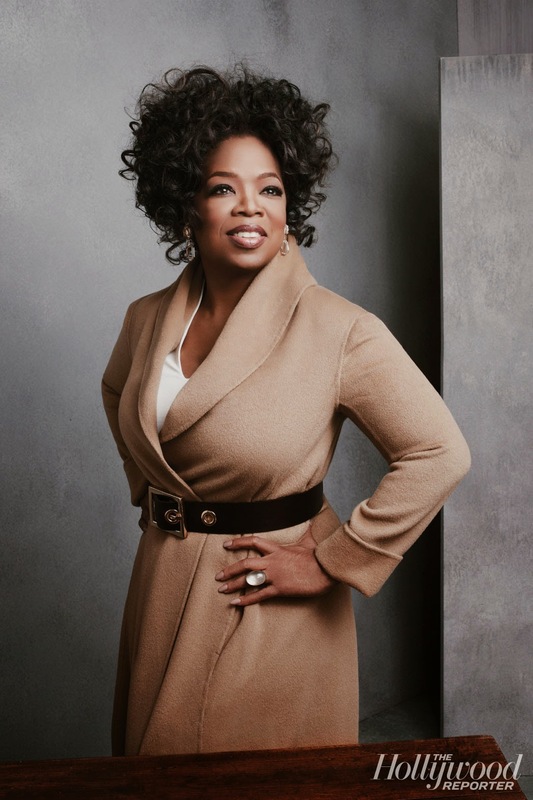 Oprah Winfrey's memorable advice on her first movie, The Color Purple: "So that night, I was in my motel room, crying. [Actor] Adolph Caesar heard me on the other side of the wall. He comes and knocks on the door, and says, 'What is all of this goddamn noise?' He gave me the greatest acting lesson. He said: 'You need to learn to give yourself over to the character. Let the character take control. And if she wants to cry, she'll cry, and if she doesn't, not even Steven Spielberg can make her.' "
On whether she would play a villain: "I would, but there is a limit to the amount of darkness I want to bring into my own personal space." Emma Thompson on acting advice: "My godfather was a sort of writer, philosopher, gay man, extraordinary, and he was a director of theater, and he gave my mum a piece of advice. I think it applies to everything. He said, 'Onstage, imagine you've got a fire burning in your dressing room.' There's something going on elsewhere; it takes your mind off acting." Lupita Nyong'o on acting advice: "My teacher at Yale, Ron Van Lieu, once said, 'It feels like it's all about you, but it's not about you at all. It's about the person you're playing.' And that always helps me get out there and do the thing I've been hired to do. I am fighting for what my character wants, and if I'm pursuing that, then I'm good." On growing up in Kenya: "I grew up in Kenya, and a lot of our programming was from all over the world, and we didn't see ourselves onscreen. It was very rare that you'd see people that look like me. 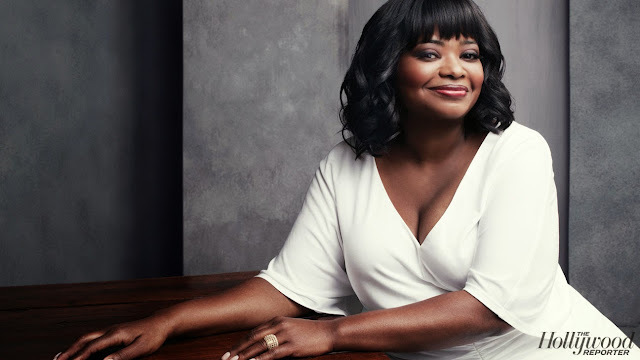 And there was Whoopi Goldberg and Oprah and everything." Octavia Spencer on her excitement for women onscreen: "Well, you have a fresh crop of female writers, and men are writing better parts for women and realizing that women can open films. I think we're making strides. We're not there yet, but I'm really excited about the past couple of years." For full interview, visit THR.